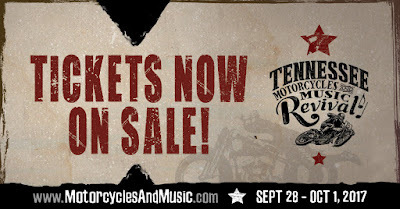 The Tennessee Motorcycles and Music Revival announces tickets are now on sale through the event website www.Motorcyclesandmusic.com. The event will host motorcycle riders of all makes, models and years at one of the most storied and beautiful ranches in the great state of Tennessee, Loretta Lynn’s Ranch. Guests will enjoy live music at multiple locations within Loretta Lynn’s Ranch, including John Anderson, A Thousand Horses, The Kentucky Headhunters, Keith Anderson, The Steel Woods, Shelly Fairchild, Stone Senate, Jared Weeks, Tim Montana and the Shrednecks, Jared Blake, and MORE! Attendees will find a variety of entertainment, specialty food trucks, premium and primitive camping sites, vendors and plenty of riding on some of the most beautiful roads in America. Loretta Lynn and family have hosted the American Motorcyclist Association (AMA) Rocky Mountain ATV/MX AMA Amateur National Motocross Championship for nearly 40 years and decided to host their own event to cater to the motorcycle-riding community at large. This special event benefits from the gracious hospitality of Country Music Legend, Loretta Lynn. “We’ve been having motorcycles here forever with the AMA, and all year long thousands of people riding in to camp at the Ranch. This is what we do here, and I’m so excited for this new one to happen.” shared Loretta Lynn. Ride-in campers will enjoy a stunning location along Hurricane Creek with easy access to the event hub, concert stage, vendors, entertainment, food court and bars. Tow vehicles, motor homes, small and larger RV’s will all have a variety of options available. Attendees can chose from a variety of ticket options. 4 day passes, daily passes and a limited number of VIP passes. 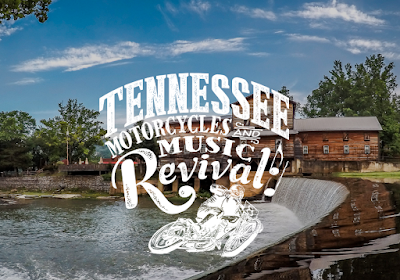 “The goal of this event is to feature music representative of the incredible musicians, song-writers and performers of the area and to fulfill what many motorcycle enthusiasts have been asking for - a destination event in a unique location that celebrates the rhythm of a great road trip,” says event spokesperson and family member, Tayla Lynn. “While motorcyclists know what it takes to have a good ride, adding a great destination can make for the perfect trip. Ride the rolling hills of Tennessee, visit the area’s unique attractions, and come back to Loretta’s Ranch for fun and great music with fellow riders.” Tayla has been on the road touring this summer inviting everyone she meets along the way with some of her fun videos she has been sharing to the Tennessee Motorcycles and Music social media pages. 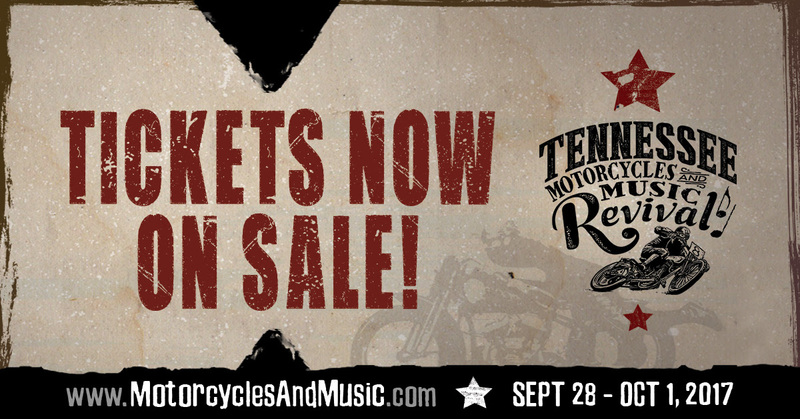 In addition to the headlining performances and multiple bands, the event will feature a variety of music and motorcycle related entertainment. Craftsmen and women are also invited to apply for a special area that will feature custom and hand-built items and accessories. The Loretta Lynn Ranch is located in Hurricane Mills, Tennessee just 60 miles west of Nashville. It is billed as "the 7th Largest Attraction in Tennessee” featuring the Legendary Country Artist’s Plantation Home, the Coal Miners Daughter Museum, a replica of Mrs. Lynn’s Butcher Holler childhood home, Western town with gift shops, country stores, camping, Hurricane Creek and a picturesque waterfall, Grist Mill, horseback riding, trails and acres of primitive and premier hook-up RV campsites. The Ranch hosts special events most of the year including concerts, holiday events, yoga retreats, horse riding, weddings, reunions and since 1982 has hosted the Rocky Mountain ATV/MC Amateur National Motocross Championship, the world's largest amateur motocross race.